Kicking off the New Year we have three new followers to IADW! Considering I'm still using 'Kicking off' in the middle of January, let's not waste another moment, so let's go meet them! Zehe and Spazzy are major fans of both comics and a wide array of illustrators. Seriously you should see their blog rolls. Thankfully IADW is now lucky enough to get into the mix of each! 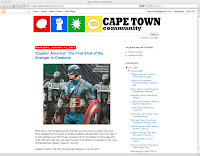 Cape Town Community is an American comic book fan who runs a positive wee comic blog of his own, which you can checkout for yourself right after the jump! 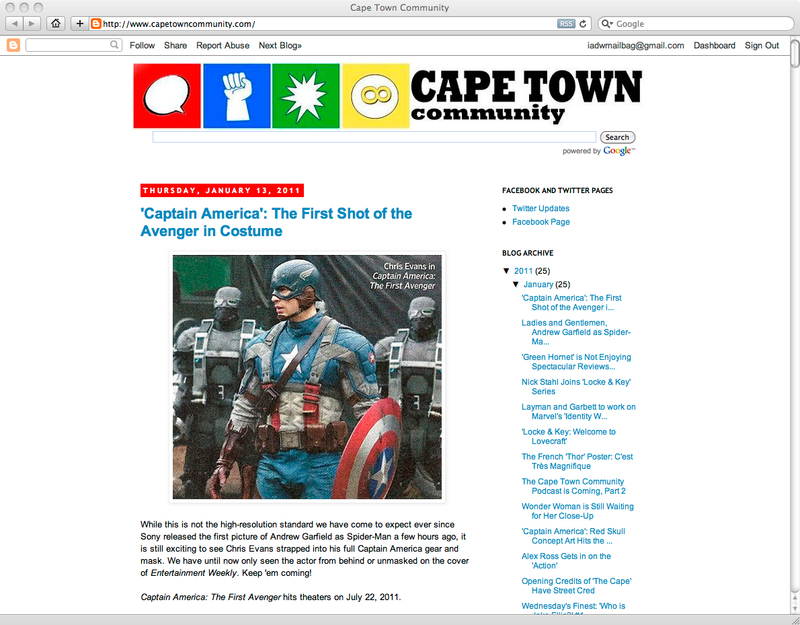 Welcome Zehe, Spazzy and Cape Town Community - Glad to have you aboard! Thanks for the shout out (I'm not sure if people still say that)! Look out in a few weeks when we record our first comic book podcast! That will make the 387,412th comic book podcast to hit the web. We hope to bring something unique (and listenable) to the table!